Over the past few days I've been getting the 'Cannot start application (CE-38612-0)' error when launching Fallout 4 on my PS4. The blue screen comes up instead of the application starting. After accepting this prompt, and launching Fallout 4 again, it starts ok. I was getting this when I didn't install the 3.15 PS4 update. 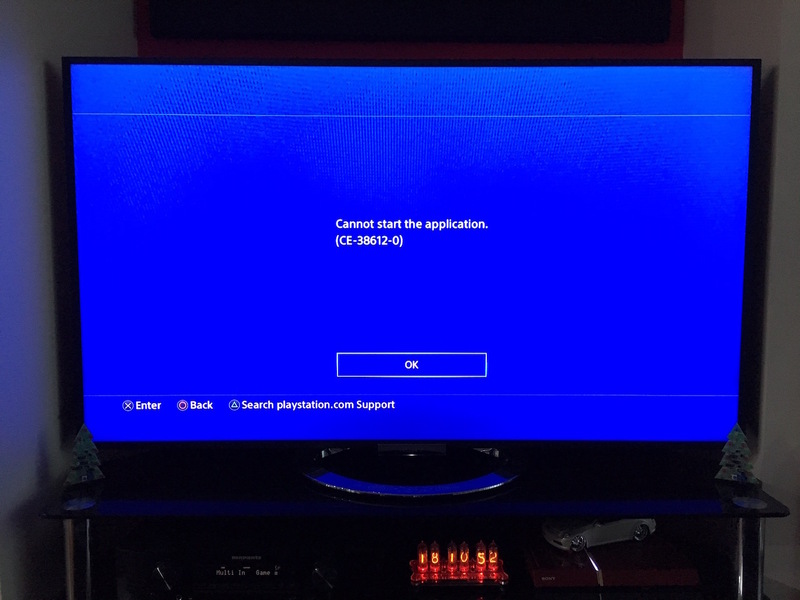 Looks like Fallout 4 tries to connect to the PSN on startup and fails, since the PS4 disables network features until this update is installed it explains this problem. Installing the system software update resolved it. I've noticed this error only comes up if the PS4 was turned off and I launch Fallout 4 immediately. It seems to be related to some networking issues, when I tried to get updates for the game at this time, it always timed out with a network error. So it could be just network connectivity.